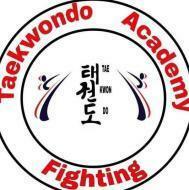 fighting taekwondo academy, provides classes for Martial Art. Fighting Taekwondo Academy conducts classes in Karate, Kickboxing and Martial Arts. It is located in Kubernagar, Ahmedabad. It takes Regular Classes- at the Institute.